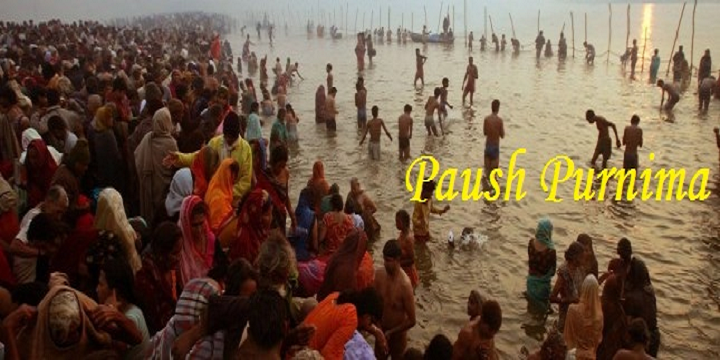 Poush month is the tenth month of Hindu panchang. It has effect of Hemant season. Therefore, it is too cold. Sun gives its special effect during this month. It is beneficial to worship lord Sun in this month. It is believed that Sun provides energy and health with 11,000 rays. One stays healthy whole year if he worship lord Sun during this month. This year, Poush (posh) month starts on 14th December and ends on 11 January. You should offer water to the Sun every morning. You can offer water in copper urn. Mix rolli and red flower in water. Chant “Om Aaditya Namah” after offering water. Use less salt during this month. You should include dry fruits and aliphatic food in your diet. You can intake jaggery instead of sugar. It is beneficial to intake celery, clove and ginger in this month. However, avoid cold water, too much bath and too much food. It is not beneficial to have too much oily and ghee products. It is beneficial to worship at midnight. It is also beneficial to donate warm clothes and food grains. Red and yellow color clothes improve your luck. You can use camphor perfume in this month. It is extremely beneficial for health. Remedy: Eat jaggery before leaving home on Tuesday. Wear red color clothes. You will get success in every work.